It’s Lone Star 100 week, and we are highlighting an El Paso Ambassador to show you how tough our West Texas team really is! Rosalba Zuniga completed her first 50k in 2017 at the Cactus to Cloud race in NM and followed up with the Bryce Canyon 50k in UT a few months later. She’s running her first 100 miler this weekend at Lone Star because she wanted to challenge herself with one of the toughest mountain races in the country. 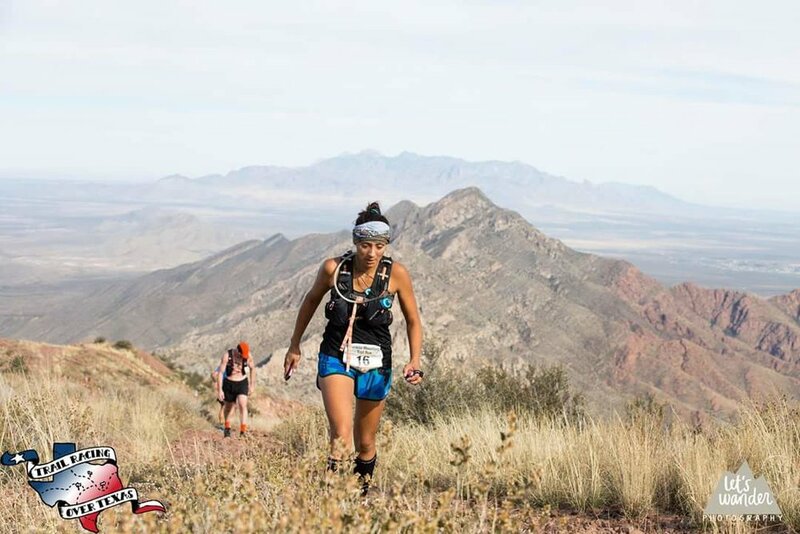 We know that Rosalba is an exceptional trail runner, and she will leave her mark on the Franklin Mountains this weekend as she races towards her epic finish. Paddle boarding, definitely a useless talent living in the desert. Not running related: I was cutting butter and cut myself with a butter knife. There was blood, but instead of me getting a bandaid, my kids laughed so hard and said that must be the dumbest way to get hurt. My kids won't ever let me live it down. My first ever 50k last year Cactus to Cloud with 9,000 feet of elevation gain. All vertical climbing for the first 10 miles, and the rest of the course was not easy. It was just supposed to be a training run for my first ever 50k at Bryce Canyon. I came in with a wonderful time and finished with the first 5 people. This is the place I fell in love with 50ks. I love that I'm adventurous and very strong willed.